Sacred Esoteric Healing has changed the way that I work with people enormously. My original training was a Bachelor of Health Science, Traditional Chinese Medicine, where I learned a great deal of theory and techniques for working with my clients, yet there was always something that never felt quite complete. Whilst studying at this time many, if not most of the students were smokers, and would very often eat fried food from the canteen between classes and I know I often succumbed to chocolate to get me through the day. Yes, we spoke about nutrition and lifestyle advice during our course, yet there was no real sense of importance placed on this as the practitioner ... that the way we are outside of the clinic is going to have an impact on our clinical competency and effectiveness. I spent years of effort and enormous amounts of money trying to find what was missing in the way I was treating clients and indeed myself! In discovering Sacred Esoteric Healing presented by Universal Medicine, not only did the way I practice change, but also the way I was with myself. The level of integrity required for this modality is second to none. It makes perfect sense that the way I am living is an integral part of all of my sessions with all of my clients. If I engage in activities that are disregarding of my body and/or affecting or altering me in any way, then I will not be able to provide my client with the level of care that they certainly deserve by coming to see me. This is a whole new level of responsibility ... one that I feel should be standard, without question, in all areas of health-care. This aspect of energetic responsibility is a fundamental part of Universal Medicine's teachings and therefore Universal Medicine is certainly leading the way and setting a new standard when it comes to practitioner/client interactions. After studying Sacred Esoteric Healing, I began to learn how to really 'be' with my clients – certainly not something I was ever taught at University. My sessions now are not imposing on the client in any way. There is no push or pressure for outcome and results ... the results that are needed always come naturally. Clients will often comment on feeling very comfortable, supported and held within a session. Sacred Esoteric Healing allows the body and the person to let go and be where they are, without trying to change or 'fix' anything, per se. 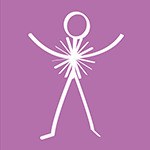 The practitioner works with the body to support connection and understanding, using gentle hands-on techniques, which helps to clear energetic patterns within the body that are not supportive. I have found that my clients really respond to this deeper connection and understanding of themselves whilst working through the issues / problems / symptoms at hand. My introduction to Sacred Esoteric Healing threw all other healing and the modalities I had experienced out the window and I am in awe of this amazing, heavenly modality that delivers true healing. Sara has a strong interest in girls and women's health and wellbeing. She works from her established complementary medicine clinic in Melbourne, Living Stillness and is the founder of The Girl to Woman Project.